The Prelude was introduced during Honda's "We Make it Simple" period. The well built, incredibly reliable Civic and Accord were selling in numbers that probably even surprised the folks at Honda. Flush with cash and an excellent reputation, Honda set its sights on the sporty coupe market. 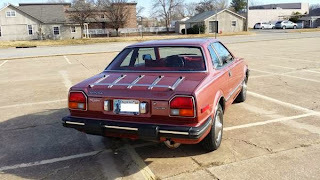 In 1979, the Prelude was introduced. The Prelude shared its engine and basic suspension layout with the Accord, but sat on a unique chassis. It was not the fastest coupe you could buy - 0 - 60 took 12 seconds - but it handled well. With a long hood and a short trunk, the original Prelude is Honda's take on the Mustang II notchback. Typical of Japanese cars from this era, the Prelude's body is busy. There are all sorts of angles, creases and add-ons. 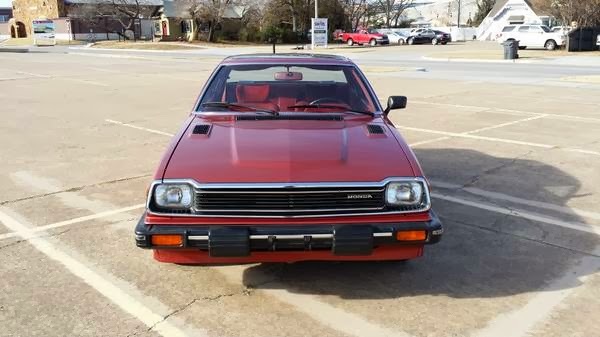 Unlike the VW Scirocco from the same era (one of the cars the Prelude targeted), the original Prelude has not aged well. It looks its age, if not a little older. Mechanically, the Prelude is a Honda, meaning that you have to work really hard to kill it. (And even then you might not.) The body, however, is water soluble. Rust took hold anywhere and everywhere. Because of that, very few of these cars survive today. This car is a remarkable survivor. It has just 76,000 miles on it. The seller has maintained it well. 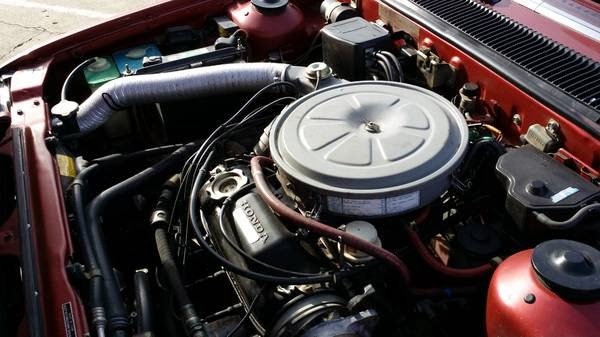 It has a new carb (they could be troublesome), the timing belt has been replaced, the brakes were recently done, and the tires have 10K miles on them. Also, the A/C has been updated and some minor interior restoration was done. The big downside to this car is the automatic transmission. It eliminates much of the Prelude's sportiness. I'm having a tough time concluding this post. On one hand, the automatic transmission would make this a nice, classic, commuter car. But, it would be a shame to expose it to the elements and parking lots. On the other hand, it's not really a weekend car, either. For $4500.00 you can find a lot of older cars with bigger engines and manual transmissions that will be much more fun to drive. 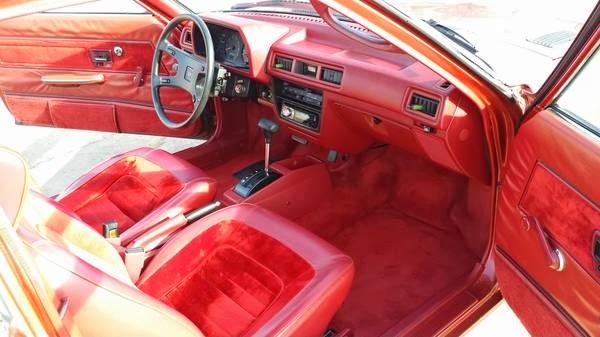 This is one of those cars that is probably going to be a tough sell. The right person will come along - the car is too nice to remain unsold - but it might take some time. Located in Tulsa, OK, click here to see the Craigslist ad. The stock wheels and hubcaps are make these especially awkward. Not sure how they managed to make their coupe uglier than their econobox and sedan models. The Accord in particular is actually kinda handsome. I can still remember in the late 70's when Honda in the US was on a huge roll and the markups for Accords were downright insane (thousands over sticker). Plus, they had a take it or leave it policy with no options and two color choices. I think in 78 it was either Silver or Maroon...not too bad but then in 79 it was either beige or metallic light green. Yuck! 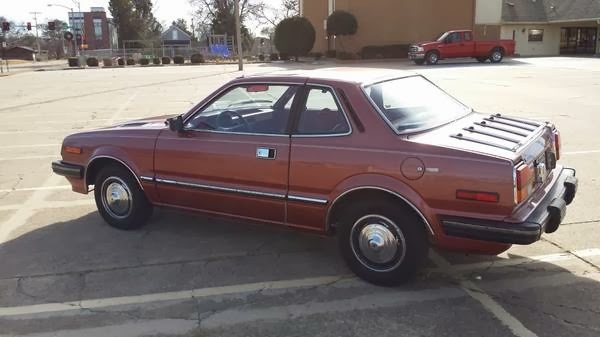 The 1st generation Prelude to me was the first chink in the armor for Honda in the US. A lot was expected from their first sporty coupe and it was thought that it was going to kill the sales of Celicas, Scirocco, etc. And what we got instead was a pretty frumpy looking car, with not so great performance, and a bizarro tach within a speedometer. I owned a silver/ grey 81 Prelude. My issue with owning it, it was near impossible to find parts. That being said, to anyone who buys it, this car is a blast to drive. Mine was a 5 Spd Manual. With 72 HP this thing actually zipped around pretty well. Hopefully you find a home for your car, this is the type of vehicle that is definitely meant to drive.